Original watercolour painting of a leopard resting on a boulder. 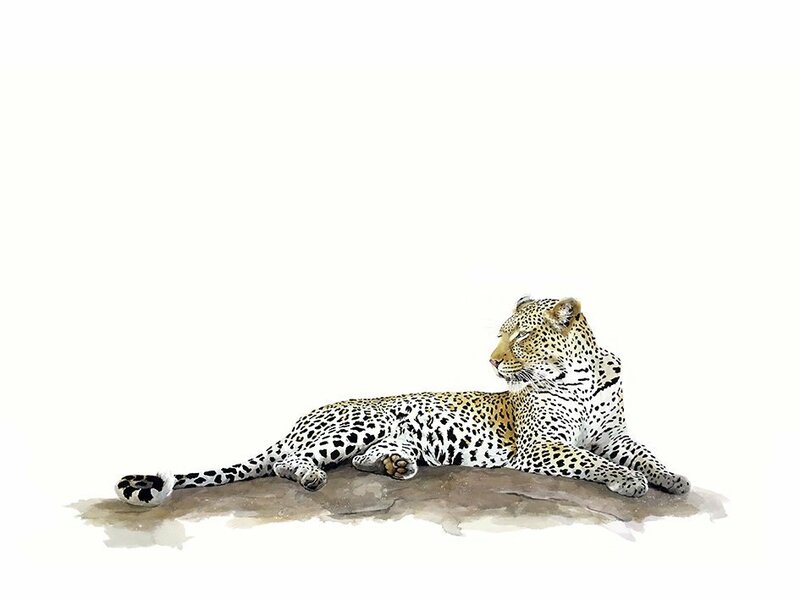 Original Watercolour Painting of a leopard. 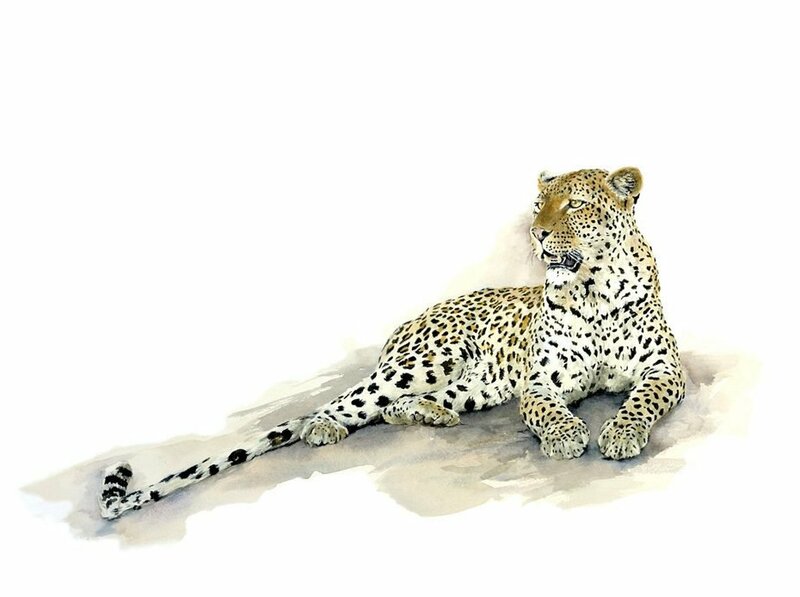 Original watercolour painting of a leopard. This beautiful leopard was resting on a rock because she had just finished eating. Sue Dickinson Sue Dickenson Sue Dickson Sue Dixon. 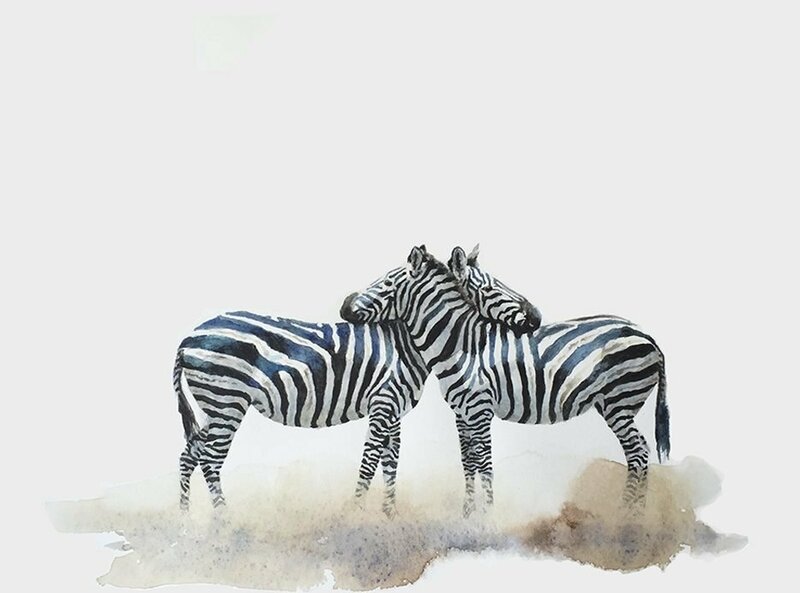 Wildlife paintings of leopards. 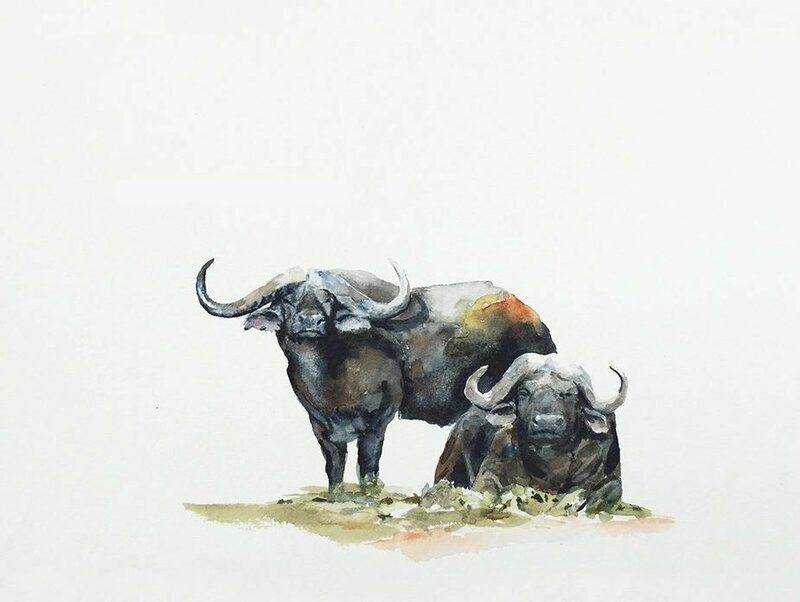 Another animal painting by wildlife artist, Sue Dickinson. 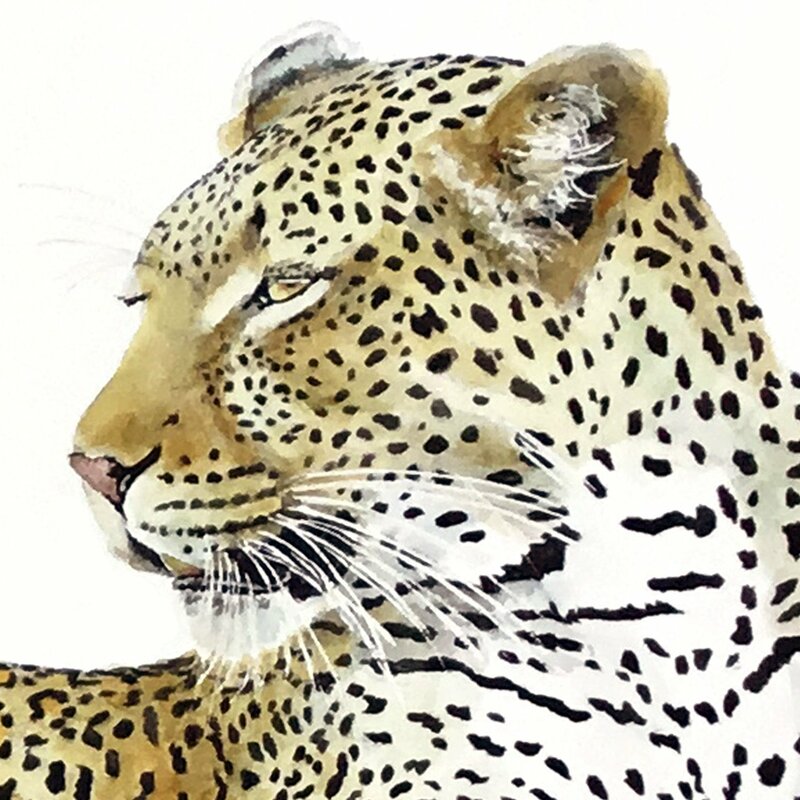 Aquarelle painting of a leopard. While paintings of leopards lying on rocks are perhaps most desirable. Leopards are usually very secretive, but this beautiful leopard was relaxing on a boulder.